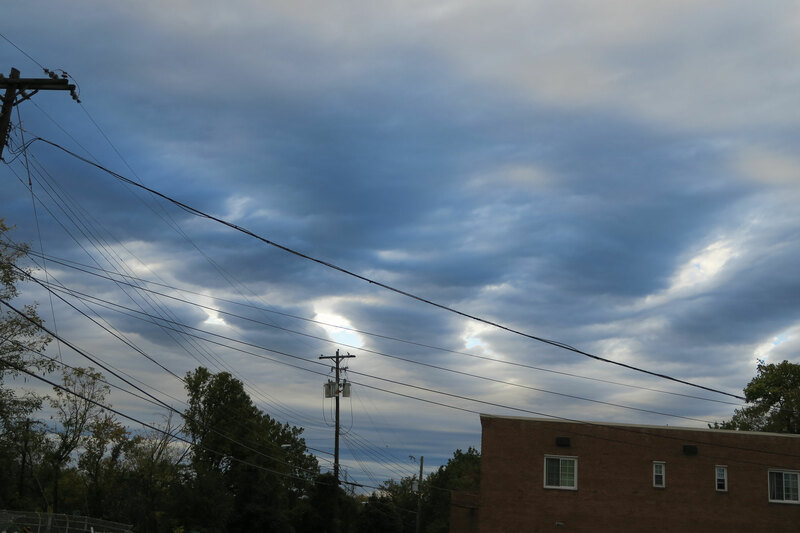 This set of photos was taken on Friday October 21, 2016 at 4:58PM. The location was in the parking lot of a great wood working shop which has done fine work for one of my projects. It is located in Kensington, Maryland. The "Take It!" came from my came from my having just pulled into the parking area at the shop just a very few minutes before they close for the weekend. I quickly got out of the car, having been delayed at several points along the way due to the usual commuter traffic at that time of day. 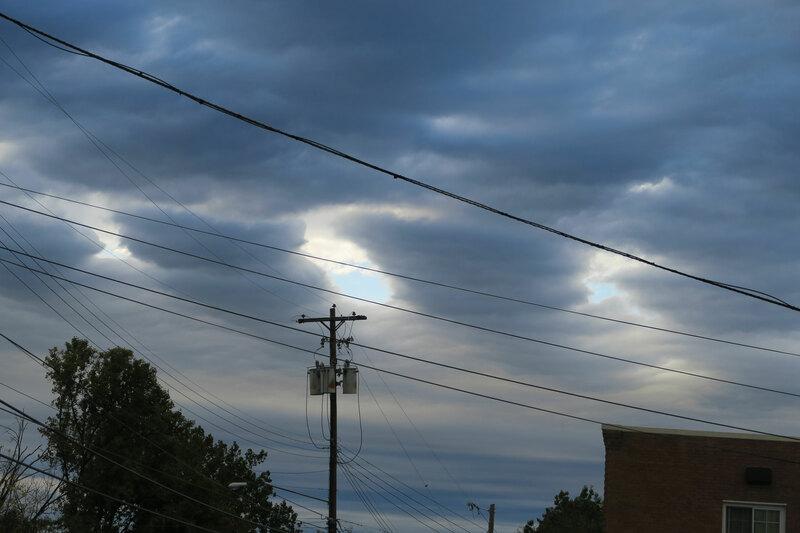 I just happened to look up at the sky, as it was threatening to rain and saw this very unusual cloud formation. That there were holes in the rain clouds that went all the way through not only the rain laden clouds, but also a layer of white clouds above them, to reach glimpses of blue sky above it, stopped me in my tracks. I grabbed my camera and took the three photos as I had the feeling that the cloud ports would have a big chance at closing up by the time I had finished my business with the owner. It turned out to be true. The After Take: While these photos have got lots of subject distracting " noise " in them, they are ever so candid and I feel fortunate to have been able to catch them. I just could not help myself in the title for this fine display of nature. Here is hoping such a display of blue sky with a storm presents itself to you. Chances are slim that it will look like this - but the basic theme will be there, showing you the contrast. PS : I am trying to come up with a t-shirt with some sort of fun slogan about being "Camera Ready," which is one of my life renditions from the Scout's pledge of "Be Prepared." I don't think I've ever seen anything like that. That is really cool looking. I think I have said this before for other pictures, however it is worth saying again; this picture would make a great desktop background screen. WOW WEE that is awesome! 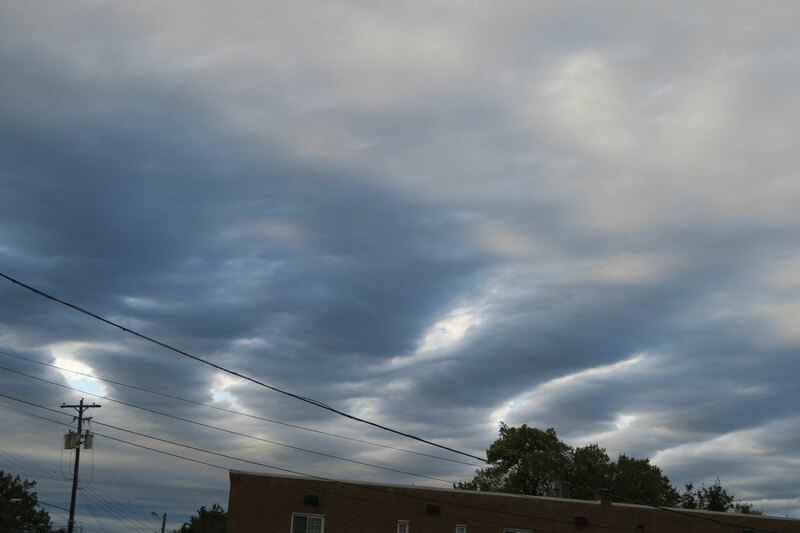 It looks like waves crashing in the sky. I have to say I think this is the most excited my husband Jim has ever been for a photo. He almost ran into our room telling me to come check it out.